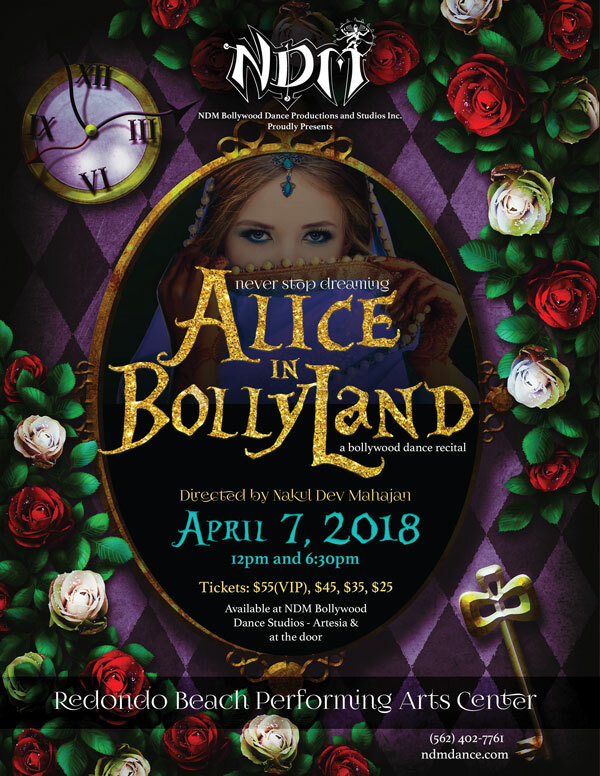 Alice in Bollyland opens TODAY, April 7th 2018, at 12 pm and 6:30 pm. Please note the 12 pm show has less than 50, $25 seats left and the 6:30 pm show has less than 20, $25 seats left. All other denominations are sold out. Tickets will be available only at the door now (box office). Unfortunately, we cannot guarantee that tickets will be available after a certain time. The Box Office will be open 1 hour before each show time and will only remain open 45 minutes after each show starts. Box office hours. 11 am-12:45 pm and 5:30 pm-7:15 pm.